I recently wrote about how special it was to drink a wine from your birth year. In this case, it was Port. But, on reflection, drinking a wine made before you were born is probably more magical – once you have a few decades under your belt. Especially when it’s illegal. OK, OK, I’m exaggerating a bit. The Sandeman 1955 Port inside the bottle I am holding in the picture below didn’t break the law. But the bottle itself – a tregnum (2.25 litres) – is no longer a legal size for the sale of Port. Head winemaker Luís Sottomayor told us he’d never seen a wine of this concentration in his 23 years in the business, calling it “a strong and robust wine that can age for many years”. Its freshness and focus made it instantly appealing, which surprised me. The tannins, though reassuringly big, didn’t feel like they were ripping off my tooth enamel. Luís said improvements in winemaking technology means vintage Port can be drunk younger. It’s hard not to be cynical when you hear phrases like this. Is it just technology or a business decision to make a Vintage Port that has more early appeal to satisfy the market? Nevertheless, I am planning to keep the half-bottle I was given for at least a decade. 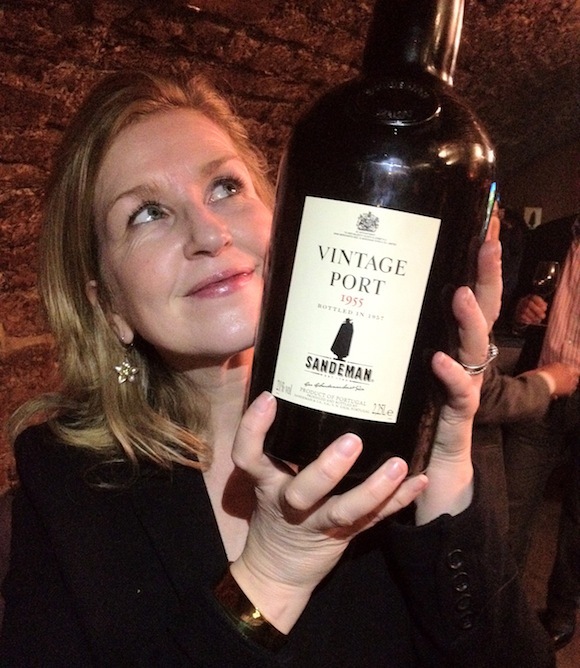 Sandeman now bottles its Port in Portugal. Back in the 1950s, the wine was bottled in London, in the very cellar where the new vintage declaration took place – now The Don restaurant. The 1955 vintage was the last to be bottled in the UK, hence the occasion for cracking open the tregnum. It was a bit like drinking a creme caramel, with licorice undertones. The fire in its belly may have long gone, but it still had personality, and grace. I doubt I’ll live long enough to see if the 2011 will be as graceful in 60 years time. However, I may report on what it is like, in 10 year’s time.